The Night’s Watch storyline in Game of Thrones last year was all about Jon’s struggle with command, both mentally and... uh, physically, especially in the season’s final episode. But now you can see even more of the simmering conflict between the Wildlings and the Night’s Watch that led to Jon’s downfall in this new deleted scene. 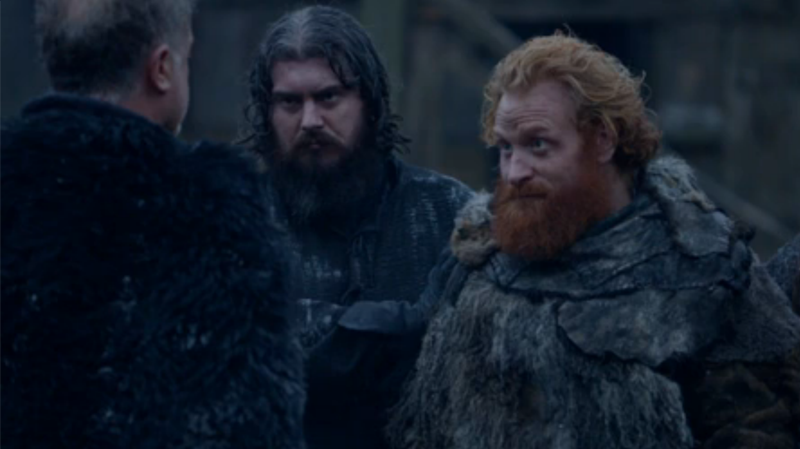 Taken from the season five premiere and debuted by Entertainment Weekly, this scene from “The Wars to Come” sees Alliser Thorne rankled by the hospitality Jon is showing the Wildlings, particularly Tormund Giantsbane. Check it out below. You can see why it was cut—it doesn’t really add much to the storyline that wasn’t already being covered, but it’s neat setup for the eventual rebellion of the Night’s Watch and Jon’s unfortunate Julius Caesar impression in the finale. It’s always nice to see a bit more grumpy Thorne though. Game of Thrones season 5 hits Blu-ray and DVD March 15th.